Subaru is using HIL technology with LabVIEW software from NI to reduce prototype road testing cycle times for electric vehicles. Major automotive manufacturers like Subaru are using National Instruments (NI) hardware-in-the-loop (HIL) technology to simulate actual road conditions for electric vehicle testing, eliminating environmental factors to reduce test time and costs. To combat these issues, Subaru replaced the roads in the validation tests with an NI HIL simulation system built on NI PXI products and LabVIEW software. With the HIL system, Subaru can eliminate environmental factors and thoroughly and efficiently test a vehicle’s embedded controller in a virtual environment before running real-world diagnostics on the complete system. 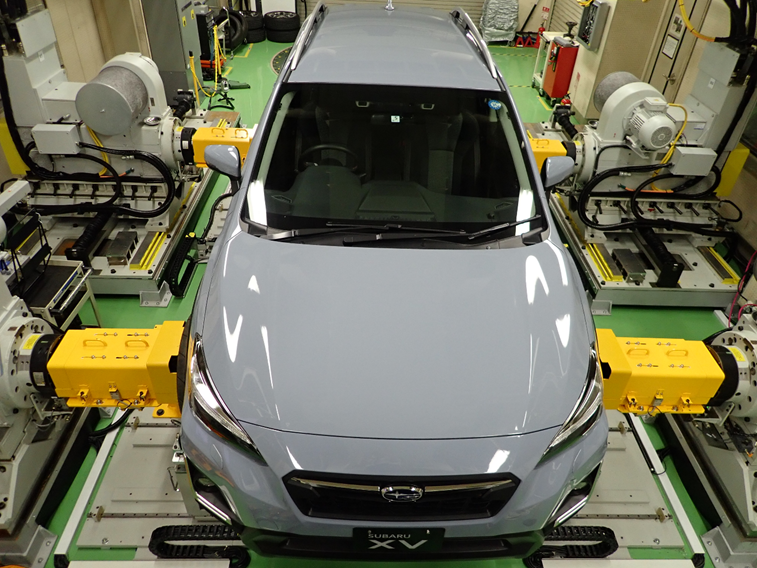 Subaru further outfitted its vehicle test system with a controller-driven dynamometer by HORIBA and CarSim vehicle dynamics simulation software deployed by Virtual Mechanics. Together, they produce load conditions equivalent to those generated on actual roads. This driving system transmits the calculated values to the NI HIL system in real time to create closed-loop control between the models on the HIL system and the driving system. As a result, the HIL interaction system can apply the appropriate load to the vehicle throughout the tests.